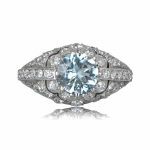 The Rhine Ring displays a beautiful round-cut aquamarine in the center and is adorned on either side by French-cut diamonds, baguette-cut and round-cut diamonds. 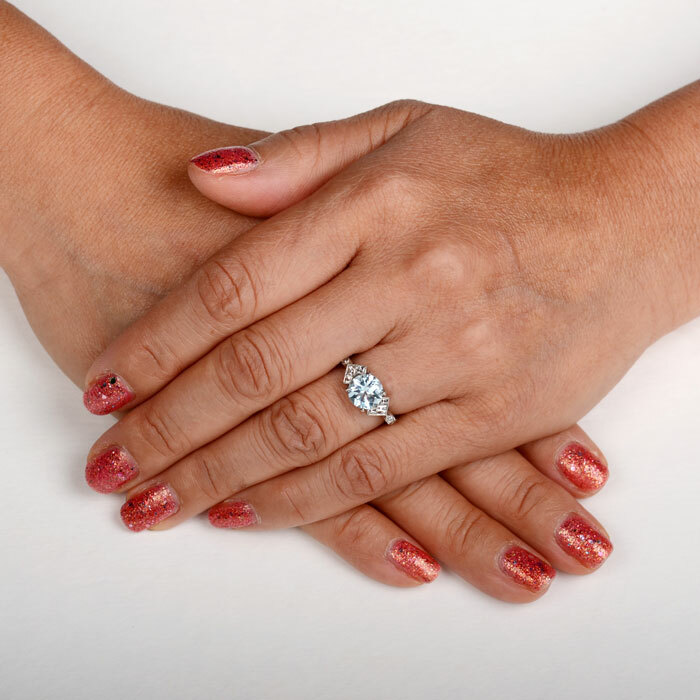 The lovely craftsmanship is finished off with fine milgrain. 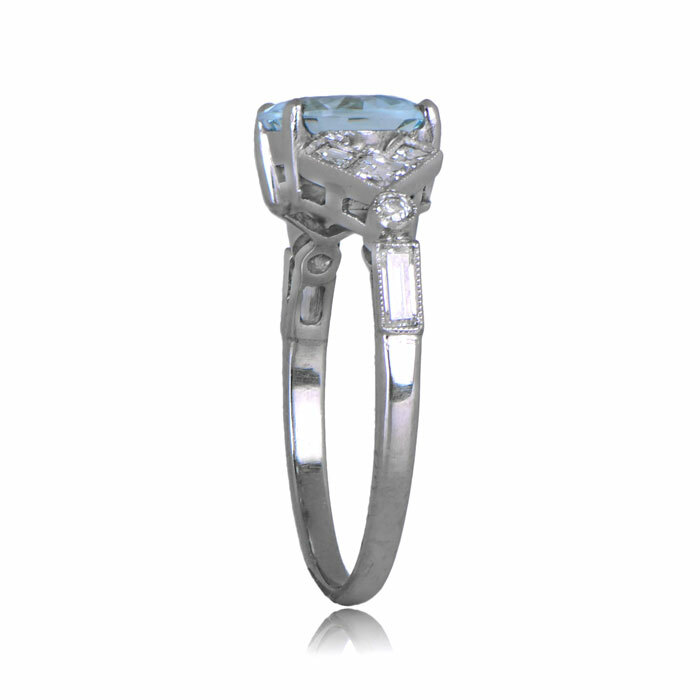 The mounting is handcrafted in platinum. 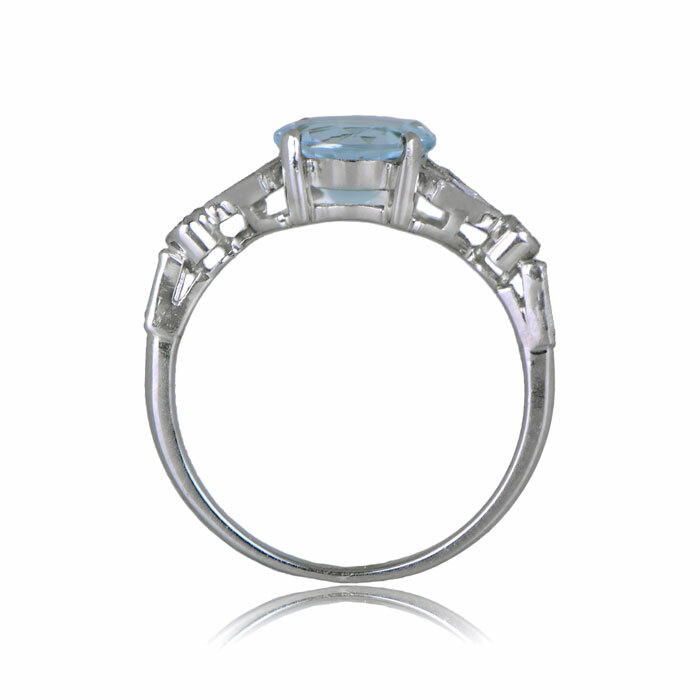 The center aquamarine weighs 1.43 carats. 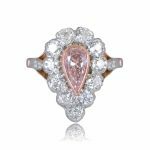 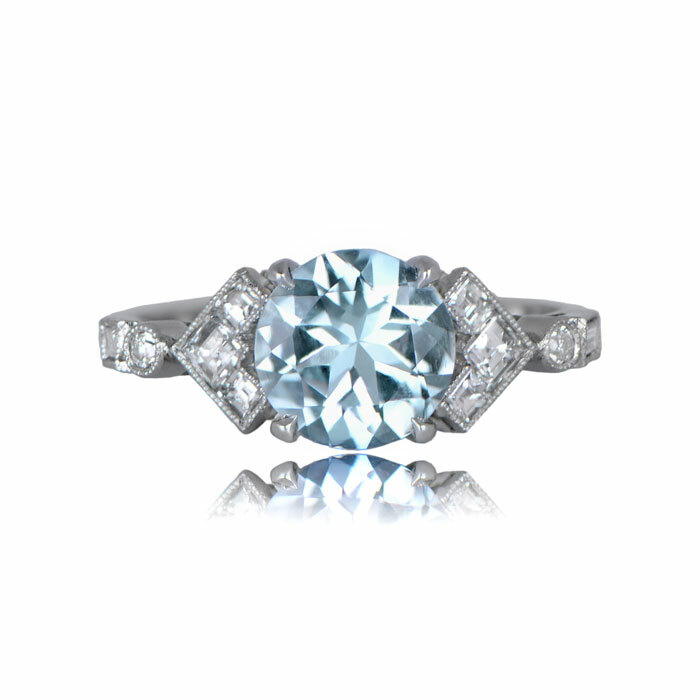 SKU: 11780 Categories: Aquamarine Engagement Rings, Vintage Engagement Rings - Contact us and request additional pictures.